Good morning, dear readers, and happy Saturday! The weekend has somehow crept up on me again, and I couldn't be happier about it! I've not been getting much sleep the past two weeks, but I was able to catch up on some last night. I actually woke up this morning not needing a cup of coffee to get my day going! 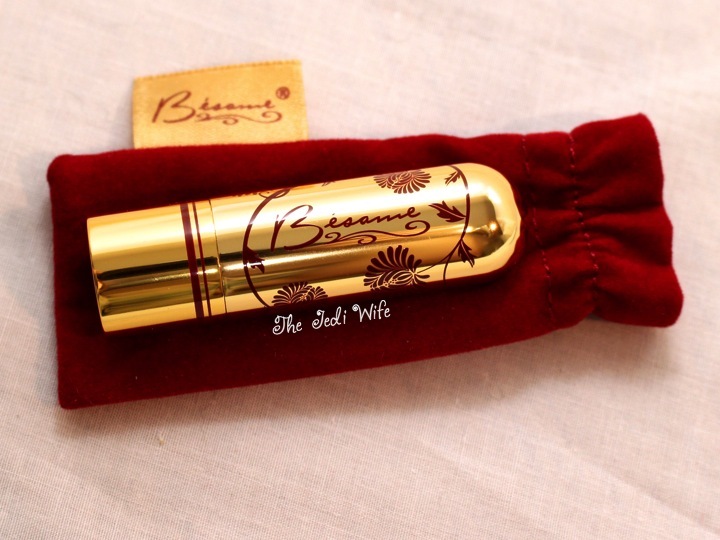 To get the day started, how about a blog post on some pretty lipsticks? I tend to wear a lot of berry-coloured lip products, with the occasional blue-based red thrown in, and I was in the mood for something a little different. There are so many lipstick brands to choose from! I decided to buy my lippies from Bésame Cosmetics, a family company that specializes in making vintage inspired luxury cosmetics. 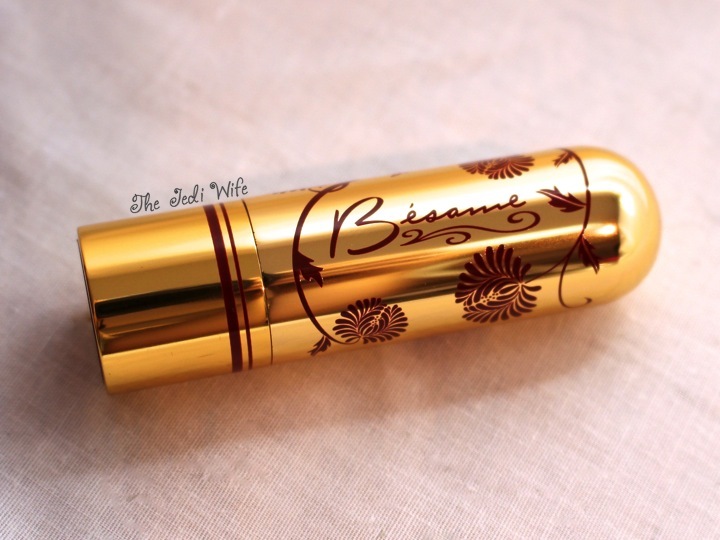 I truly am a classic girl at heart when it comes to cosmetic colours, and I adore the beautiful packaging Bésame Cosmetics uses. The lipsticks are packaged in these small red velvet pouches, and the pouches are tucked inside a small box. Please excuse the lack of a box in my photos; my toddler has decided he likes to play with my makeup boxes and destroyed them before I could take a picture of them. I bought lipsticks in the shades Carmine and Coral, reproductions of shades from 1931 and 1962 respectively. 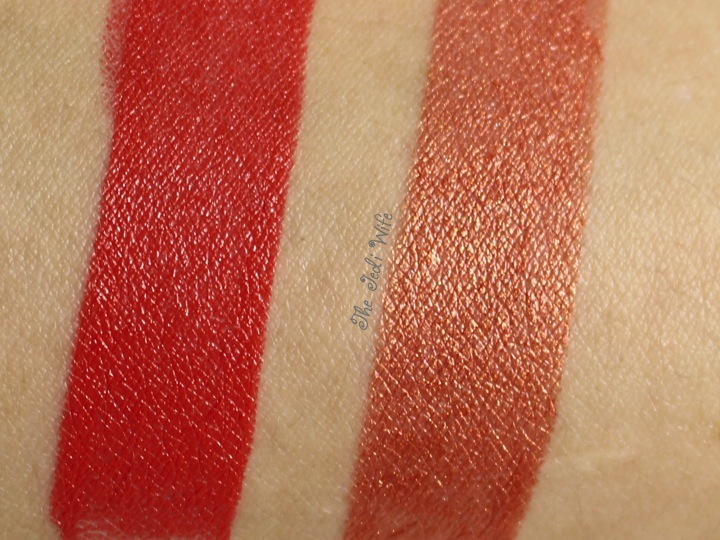 Here are swatches of these beautiful colours. This is with two coats on my arm, but I have this much coverage on my lips with only one coat. Carmine is a gorgeous orange-leaning red, and I love it against my olive skintone. 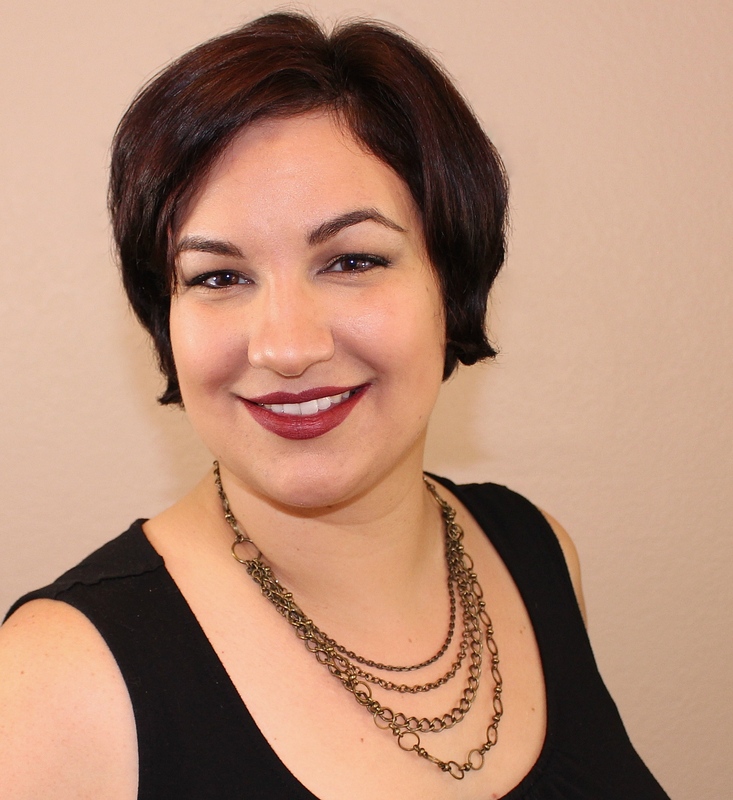 The finish is semi-matte, and it lasted for several hours on my lips before a touchup was needed. Coral is an orange-peach with gold shimmer (not what I would consider "coral" but still the shade I had in mind to try), and it also has a semi-matte finish. I only had this on about an hour before eating, so naturally I needed a touch up sooner. I love both these shades, and I'm going to have a lot of fun creating looks with them! The formula is smooth and creamy, and I had no problems with feathering. I also love the light vanilla scent found in these lipsticks! 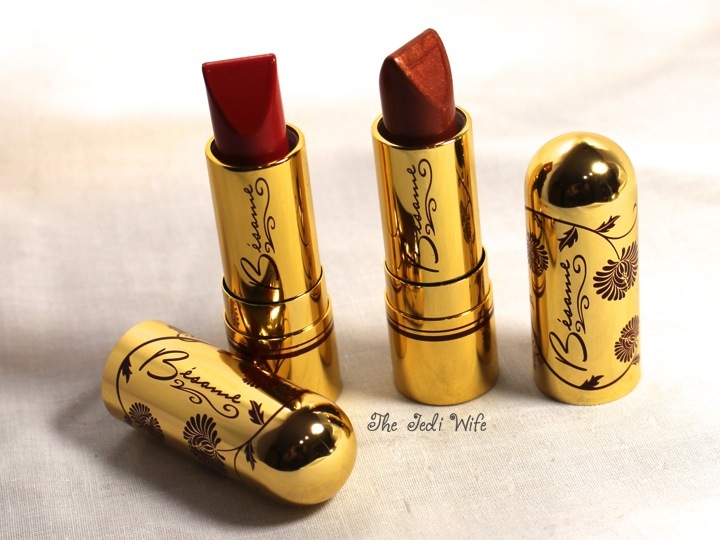 You can purchase these and other vintage inspired cosmetics from Bésame Cosmetics here. Their Facebook page can be found here, and I recommend following them as they often have different workshops in Burbank, California to attend. I've not yet had the pleasure of visiting one yet, but I hope to soon! I'm a long-time Besame fan! Such gorgeous products and packaging inspired by the time period that has always inspired me most :D So glad you liked them, too! I really liked a lipstick I already had, and I had to get more! I'm even more hooked now than I was before, so my Besame collection is likely to grow soon.